Tokyo, Japan’s capital, is a place of vast proportions where the old and the new merge into a fabulously detailed cityscape. Upon arrival, visitors are confronted with the sheer energy that radiates from within Tokyo. Tokyo’s city center is a kaleidoscope of exotic sights and sounds. The night view brings forth a seemingly endless, delicate tapestry of Tokyo lights. Despite two major disasters, Tokyo, located at the mouth of the Sumida-gawa River, has remarkably transformed into a modern Japanese metropolis. Tokyo is an example of a success story in action. A visit to Tokyo brings a collection of sights and provides for an animated experience. In such a city there is so much to see and do, ranging from visits to shrines, temples, and excellent museums, to trips throughout the various shopping areas. Tokyo, in fact, is a shopper’s paradise. An amazing variety of high-quality goods and brand designer products can be found in elegant specialty shops located in Shinjuku, Harajuku, Shibuya, Yurakucho, and Ikebukuro. The dazzling lights of Ginza, Japan’s answer to New York’s Fifth Avenue, and Tokyo’s most celebrated shopping district, attracts both the avid shopper and the window shopper alike. In the sports arena, baseball is big business in Tokyo. The spectacular Korakuen Dome, home of the popular Giants, features Japanese professional baseball games which are held regularly. Sport fans will be drawn to Tokyo’s four biggest spectator sports: professional baseball, rugby, sumo and soccer. Although not among the four, Yankee style football and martial arts are also quite popular. If you enjoy sightseeing, make sure to embark on a relaxing and fascinating 40 minute day cruise on the Sumida River between Asakusa and the Port of Tokyo. A choice of five routes are offered: the Canal Cruise (canal district and Shinagawa Aquarium), the Harbour Cruise (Rainbow Bridge and Tokyo Port), the Kasai Sea life Park (including a stop at Tokyo Big Sight), the Museum of Maritime Science (Odaiba Seaside Park and museum of ships complete with swimming pool and palms), and the Sumida River (passing beneath a dozen bridges). In this city of twenty-four-hour shops and ancient shrines, there is always a showcase performance for visitors to enjoy. For the art enthusiast, Tokyo offers many forms of entertainment. In fact, Japan is focused on the arts and, with excellent facilities such as the National Theatre and Opera City in the Shinjuku district, Tokyo appeals to individuals and groups interested in drama, opera, and the ballet. For theatregoers there are three unique and powerful forms of entertainment: Kabuki, Takarazuka, and Noh. As a standing form of ancient Japanese tradition the Kabuki features only male performers, whereas Takarazuka is an all-girl revue. For a more thorough view of Japan’s history, visitors can tour the many excellent museums scattered throughout Tokyo. The most modern is the Edo-Tokyo Museum, complete with an intriguing 52-meter escalator supported by four colossal pillars. Closely tied to the culture of Japan, the traditional Japanese gardens of Tokyo take visitors a step back from the frenzied pace of modern life. They find themselves entering a world of tranquility, an enchanting setting of gardens outlined by wooden houses landscaped with neatly clipped bonsai trees. Cobbled lanes lead to tiny neighborhood shrines shrouded in foliage. A major advantage of visiting Tokyo is to participate in the many festivals that take place around the year. Each year a festival is held during which the passing seasons are observed by visits to local shrines or temples. With over 500 annual events, the festivals provide visitors tangible links to the past and present. The upbeat atmosphere is one of the things that makes Tokyo so appealing. This vitality has become part of the popular culture, a culture which seems to be constantly in the midst of a celebration of life. Languages: Japanese. English is spoken by many people in Tokyo and is considered a language necessary for international business. Most people in the hotel and travel industry will speak some English. Very few taxi drivers or people working in restaurants and stores will understand it. Many signs in the Tokyo area also list the roman spelling (romaji) of Japanese place names as a courtesy to visitors. Predominant Religions: Buddhist, Christian, Shinto. Time Zone: 9 hours ahead of Greenwich Mean Time (+9 GMT). 14 hours ahead of Eastern Standard time. When it is 12:00 noon EST in New York City, it is 2:00 in the afternoon of the following day in Tokyo. Daylight Saving Time is not observed. The temperate climate brings dry and mild to cold winters, warm and humid summers and pleasant springs and autumns. Rainfall is common March-October. The best times to visit are April-May, for the blooming cherry blossoms and pleasant weather, and October-November for changing leaves and similarly enjoyable weather. It can get hot and muggy in August. Winter seldom brings snow, but temperatures usually drop below freezing for a few days. Very few places have a dress code. When visiting a shrine or temple, it’s best to dress in a respectful manner. T-shirts are OK, but don’t go in cutoff jeans or shorts. Take along warm socks in winter, because shoes are removed when visiting many places, and central heating is not common. Hotels may provide slippers, but they’re tailored for smaller people, so you may be more comfortable if you bring your own. O-Shogatsu – New Year’s day and the first few days of the New Year are the most important Holidays of the year. They are filled with customs and traditions to make sure that the year ahead will be a good one. Golden Week – several days at the end of April and/or the beginning of May which include observed holidays and other celebration days that together make up a full week of holidays. O-Bon – the Buddhist summer festival to honor the dead or welcome the spirits of the dead on their annual visits to the earthly world (July 13-16 in Tokyo and parts of eastern Japan). O-Bon can also coincide with O-Chugen, the annual summer gift-giving time. New Years Day – January 1st. Coming Of Age Day – January 15th, in honour of all those who have their 20th birthday in the new year. All ‘new adults’ are legally allowed to smoke, drink and vote after this day. National Foundation Day – February 11th, in commemoration of the founding of the Japanese nation. Said to be the day the first Emperor ascended the throne. Spring Equinox – March 20th or 21st, an important period in the Buddhist calendar for paying respect to one’s ancestors. Greenery Day – April 29th. The late Emperor Showa’s birthday was left as a national holiday. Constitution Day – May 3rd. Commemorating the establishment of Japan’s present constitution in 1947, based on democratic principles and peaceful provisions outlawing the possession of armed forces or military power. Children’s Day – May 5th, in celebration of the children of Japan. Huge carp streamers are hung from flagpoles outside of houses and appear to be forging their way upstream. The fish represent the courage and perseverance that young boys should have in life. Respect For The Aged Day – September 15th. To honour the elderly and pay respect to their knowledge and experience. Autumn Equinox – September 23rd or 24th and similar to the Spring Equinox in its festivities. Health – Sports Day – October 10th. To promote health and physical development. Also in commemoration of the 1964 Olympics which were held in Tokyo. Culture Day – November 3rd, established in 1948 as a day for appreciating peace and freedom and to promote culture. Labour Thanksgiving Day – November 23rd. A day to appreciate and thank all those who support society by their work. Originally, it was a thanksgiving for the harvest. Emperor Akihito’s Birthday – December 23rd, the birthday of the present Emperor. It should be noted that holidays may not be observed on the actual date, and for example, if the holiday falls on a Sunday, it may be observed on the Monday following. Voltage Requirements: 100 volts AC, 50 cycles. Outlets require the type of plug used in the U.S. Appliances designed for use in North America usually can be used with no adapter; however, the difference in cycles means that they’ll run about 15% slower. Many of the larger hotels have a choice of electrical outlets or can supply adapters. Telephone Codes: 81, country code; 3, city code (dial 03 within Japan). The Yen is the basic coin in Japan just as the cent is the basic coin in America. Although foreign currency can be used for some transactions at shops and restaurants that cater to foreign tourists, the yen is preferred. The most convenient place to exchange money is at the exchange desk in your hotel. The next easiest place is at a bank displaying the “Authorized Foreign Exchange Bank” sign. Most banks in Tokyo can exchange your currency quickly and with minimum hassle. Many of the larger stores have their own foreign-exchange counters offering competitive rates. Passports usually are required when converting currency. You can extract yen at the going rate of exchange, using either a bank or credit card, at an ATM. All of Citibank’s ATMs are tied into the CIRRUS network. They have English-language menus and operate 24 hours a day. Remember to choose a numerical PIN: There are no English alphabet keys on Japanese cash machines. There is a consumption tax of 5% on all purchases. Technically, foreigners are exempt from the tax, but if you’re not dealing with a shop that has a rebate counter for foreign tourists or you don’t have your passport with you, you’ will have to pay the tax. Tipping isn’t practiced. However, restaurants add on a 10%-15% service charge. Porters aren’t as common as they once were, but expect to pay a few hundred yen per bag. Taxi drivers don’t charge extra for handling baggage. Public telephones are common, and you’ll see many that have data ports. Some will only accept coins, but newer models take prepaid phone cards, too. Buy phone cards at vending machines or kiosks. If you’re calling a number in Tokyo from inside Japan but outside the city, add the Tokyo area code (03) to the number. If you’re calling Tokyo from outside Japan, you’ll need to dial the country code (81) and the area code (3) without the leading zero. Toll-free numbers begin with 0120 or 0088. The subway and surface train system is the most efficient way to get around Tokyo. It is a much better option than taxis, which are very expensive and get caught in traffic. The secret to the rail system is knowing the color code of the line that stops nearest your destination. Just point out your destination on an English- and Japanese-language map or show fellow passengers your destination (written out in Japanese by your hotel staff). They’ will almost always help you buy your ticket and direct you to the right platform. All international flights to Tokyo, except those of China Airlines, land at New Tokyo International Airport (NRT) in Narita. Narita is located some 41 miles east of Tokyo, but because of the heavy and unpredictable traffic, it takes about 90 minutes to get into the city. During heavy traffica drive to or from the airport can take three or more hours. Always plan four to four-and-a-half hours between the city and Narita to ensure catching an international flight, or book a room near the airport for your last night. 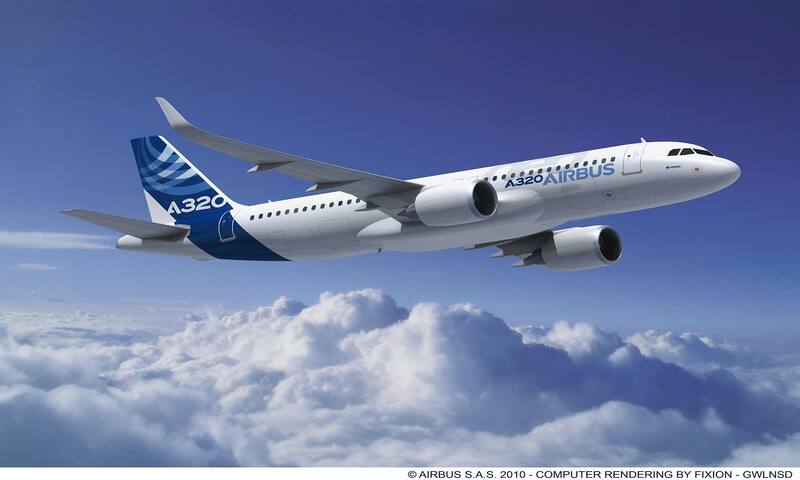 Most domestic flights and China Airlines’ international flights land at Tokyo International Airport (HND) in Haneda. 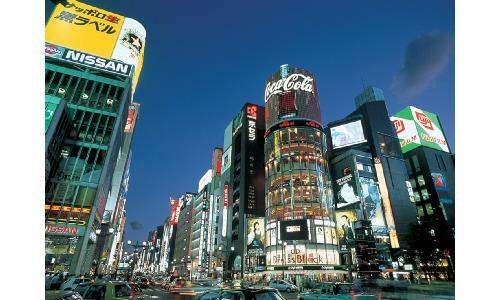 Haneda is conveniently located between Tokyo and Yokohama, about a half-hour bus or monorail ride from downtown Tokyo. Travel between Tokyo and Narita is using the commercial shuttle buses (called limousines). The Limousine Bus Service counter is in the arrivals lobby, and the staff speaks English. Destinations to all major hotels, train stations and the Tokyo City Air Terminal (T-CAT) and Yokohama City Air Terminal (Y-CAT)—actually bus terminals—are displayed prominently. Driving is not convenient in Tokyo. Traffic jams that back up 20-30 miles, lasting an entire day, are not uncommon, especially during peak travel seasons. Tokyo’s public transportation is fast, clean, safe and convenient to use. Most of the yellow and black directional signs are in both English and Japanese. Start with good maps of the rail and subway systems. You can pick them up from the Japan National Tourist Organization (JNTO) or in most subway and train stations. Taxis are clean, safe and readily available everywhere in Tokyo. Most hotels and all train stations have a taxi stand. You also can flag down a taxi by holding out your hand. However, the taxis may pass you by to pick up Japanese people—most drivers do not speak English, and they’re afraid of communication problems with foreigners. Because traffic moves on the left-hand side of the street, enter and leave the taxi using the left-hand door. But don’t open it yourself—it’s operated automatically by the driver. Japan has some of the best train networks in the world—fast, safe, efficient and clean. The main network is operated by Japan Railways (JR), and there are many other privately operated lines. Stations in the city include Tokyo, Ueno, Shinjuku, Shibuya and Yurakucho. It is a re-creation of Disneyland in California. Open every day 9 am to 10 pm April through August and from 10 am to 6 pm September through March. (From September through November it closed on Tuesdays, and from December through February it is closed on Tuesdays and Wednesdays except holidays. The Imperial palace is home to Japan’s Emperor and the imperial family; you can walk around the outside of the moat of the Imperial Palace, and admire the luster of the ancient centuries. The grounds, however, are only open on two days: on the Emperors birthday (Dec 23) and Jan 2. Surrounding the Tokyo National Museum and Ueno (Tokyo) Zoo, this park encompasses true Japan in its temples, shrines and it even features an aquarium. It is well known for being the prime cherry-blossom-viewing spot. 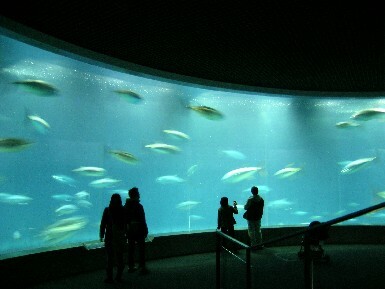 Tokyo Sea Life Park is a giant aquarium that simulates life in the depths of the ocean. Exhibits featured include the spectacular rooftop glass shark tanks and much more. Edo-Tokyo Museum is the newest and one of the best historical museums, depicting life in Tokyo from the 17th century through the end of World War II. Open Tuesday-Saturday 10- 6 (Thursday and Friday until 8 pm). Closed Dec 28-Jan 4. Wild Blue Yokohama is an indoor beach that is open year round. It is a perfect example of Japan’s ability to harness the forces of nature in new and innovative ways. The Tokyo National Museum is the nations largest display of Japanese history and culture, with more than 100,000 treasured artifacts and artworks. Exhibits include Chinese and Indian art as well. Azabu Museum of Arts and Crafts emphasizes Japanese artworks, including glass, ceramics, clothing and paintings. Drum Museum Taikokan presents a hands-on exhibit of drums from around the world. Very small but interesting personal collection, housed upstairs in a traditional festival costume-and-instrument store in an old district of Asakusa. Visit the Japanese Sword Museum for a display of modern and ancient swords. The National Museum of Modern Art offers a collection of Japanese art created since the Meiji era (AD 1868-1912). Nearby Crafts Gallery displays Japanese handicrafts. The Paper Museum displays the process and equipment used in hand-making Japanese paper. The Silk Museum (Yokohama) illuminates the silk-making process and also displays fine silk fabrics. The Budokan was built as a martial arts arena for the Tokyo Olympics of 1964. It still hosts tournaments and exhibitions of judo, karate, and Japanese fencing, as well, as concerts. This is a great place for children! Exhibits explain the early development of the railway system and include a miniature layout of the rail services. This museum also features Japan’s first airplane. Kite flying is an old tradition in Japan, and the kites in this museum include examples of every shape and variety. For the children, the museum offers a special kite-making workshop. Everything from dinosaurs to moon rocks is on display at this conventional natural history museum. The planetarium has daily shows displaying the movements of the solar system, the constellations, and galaxies projected on a dome 65 ft. in diameter. Adjacent to the planetarium, visitors can explore the museum of astronomy. This amusement park offers attractions that the kids are going to love! The chief attractions of which are a giant roller coaster and a “circus train”. This large amusement park has four roller coasters, a haunted house, and seven swimming pools. It also features an authentic Coney Island carousel, refurbished and rescued by a Japanese entrepreneur. Edo-Tokyo Museum is the newest and one of the best historical museums, depicting life in Tokyo from the 17th century through the end of World War II. Open Tuesday-Saturday 10 -6 (Thursday and Friday until 8 pm). Closed Dec 28-Jan 4. The Doll Museum (Yokohama Ningyo no le) houses a large collection of Japanese dolls and dolls from 130 other countries. Children’s castle is an activities center for children. Featured are playrooms, AV rooms, a swimming pool (children only), library, computer room, and so much more. This wildlife park gives animals freedom to roam, and most exhibits are separated by moats. Visitors can also take an adventurous tour of the Lions’ Park on a minibus. Many of Tokyo’s festivals, drawn from ancient roots, are scheduled according to the lunar calendar. Although many of Japan’s holidays remain fixed from year to year, some are subject to change and should be confirmed. 1 January: New Year’s Day. Public holiday. Special foods: broth, herring roe, black beans, dried chestnuts and seaweed—are served. Throughout the week, families visit shrines and temples. Everyone strives to pay debts incurred from the previous year. 2 January: Kokyo Ippan Sanga. The Imperial Palace opens its grounds to the public for one of only two open houses during the year (the other is 23 December, the emperor’s birthday). The royal family makes an appearance before great crowds. 1 Chiyoda, Chiyoda-ku. For information, call 3213-1111. 6 January: Dezomeshiki Parade. Firemen perform acrobatic tricks atop tall bamboo ladders. The parade route is along Harumi Chuo-dori (Ginza Station on the Hibiya, Ginza or Marunouchi lines). For information, call 3212-2111. 10 January: Coming-of-Age Day. Public holiday. Young people who have turned 20 during the preceding year are honored. Late January: Plum Blossom Festivals. These red and white flowers are believed to offer protection against evil and various diseases. The plum-blossom festivals reach their peak mid February-mid March at parks, gardens and shrines throughout the Tokyo area. For more information about projected times and viewing sites, call 5321-3307. Throughout January: Performance. The New National Theatre is home to many opera, ballet, contemporary dance and theater performances. 1-1-1 Honcho, Shibuya-ku (Hatsudai Station on the Keio/Shinjuki line). For information, call 5351-3011. For tickets, call 5352-9999. Early January: Tokyo Millenario. This New Year’s festival centers around a dazzling light sculpture and gallery. Tokyo International Forum, near Tokyo Station. For information, call 5447-0954. Early February: Setsubun. According to the lunar calendar, this day marks the end of winter. Temples and shrines throughout Tokyo hold bean-throwing contests to scare away the devils and bad luck. Early-Mid February: Tokyo Marathon. Prize money for this 26-mile race through Tokyo suburbs is more than US$50,000. For information, call 5245-7085. 11 February: National Foundation Day. Public holiday. Early March: Hina Matsuri. During the Doll Festival, traditional Japanese Hina dolls and miniature household articles are typically displayed in homes with young girls and at other locations throughout the city. The dolls represent the emperor, empress and other members of the court dressed in ancient costume. 20 March: Vernal Equinox. Public holiday. Buddhist temples hold special services, and people pray for the souls of the departed. Late March: Tokyo International Anime Fair. This annual event draws approximately 15,000 industry members and 50,000 fans. Weekend events for the public include a competitive film festival, character shows, live performances, voice-actor lessons and exhibits from nearly 150 businesses. Tokyo Big Sight, 3-21-1 Ariake, Koto-ku. For information, call 5530-1111. For tickets, call Ticket Pia at 983-222. 8 April: Hana Matsuri. On the birthday of Buddha, statues of the diety are shown in temples, and sweet tea (amacha) is poured over them in a gesture of devotion. Children place flowers next to statues of the infant Buddha. Throughout April: Cherry Blossom Viewing. The cherry trees in parks and shrines around the city reach full bloom during late March and the first two weeks in April. Friends and colleagues gather under the trees to eat, drink and sing traditional songs into the night hours. The best viewing spots are the Imperial Palace, which opens its front road for bicycling on Sundays (phone 3211-5020), and Ueno Park in Taito-ku (Ueno Station, phone 3827-7752 or 3832-0084). Chidorigafuchi Minakami Park in Chiyodaku (Kudanshita station, phone 3264-2111) offers viewing by boat. Sumida Park in Asakusa (Asakusa Station, phone 5608-1111) is almost as famous as Ueno Park. For more information about projected times and sites, call 5231-3307. Continues through early May. Mid May: Kanda Matsuri. This biannual festival commemorates the establishment of the Tokugawa shogunate in Edo more than 400 years ago. 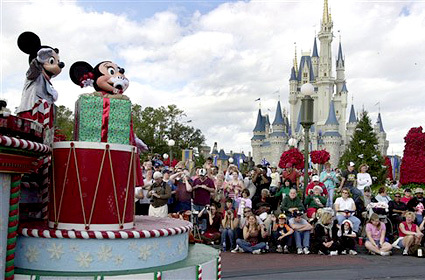 Marked by parades with elaborate portable shrines and costumes. Celebrated on the weekend nearest 15 May. Kanda Myojin Shrine, 2-16-2 Soto Kanda (Ochanomizu Station). For more information, call 3254-0753. 1-5 May: Golden Week. This week of continuous national holidays includes Greenery Day (April 29), Constitution Day (May 3), Nation’s Holiday (May 4) and Children’s Day (May 5). This is one of Japan’s busiest holiday seasons, and many government offices and businesses are closed. Concludes 5 May. 21, 22 May: Sanja Festival. This three-day celebration at Asakusa Shrine is filled with excitement as portable shrines in lacquer and gold are hoisted and carried around the Asakusa district by happi-coated men and women. 2-3-1 Asakusa, Taito-ku. Phone 3844-1575..
18 July: Maritime Day. Public holiday. Third Monday of July. 30 July: Fireworks. Tokyo’s grandest fireworks display of the year is launched on the last Saturday in July over the Sumida River in Asakusa. The best places to watch are between the Kototol and Shirahige bridges or at the Komagata Bridge. For information, call 5388-3141 or 5608-1111. 15 September: Respect for the Aged Day. Public holiday. 23 September: Autumnal Equinox Day. Public holiday. Early-Late October: Tokyo International Film Festival. The largest film festival in Asia markets itself as one of the top 12 major festivals in the world. Features competitive screenings of international and Asian features, along with works by new directors, world cinema and classic Japanese films. Also star guest appearances, industry forums, symposiums, exhibits and other events. Bunkamura and other cinemas in the Shibuya district. For information, call 3524-1081. 11 October: Health and Sports Day. Public holiday. Mid October: Oeshiki Festival. A Buddhist festival commemorated by a procession toward the Honmonji Temple. Participants carry large lanterns decorated with paper flowers. 1-1-1 Ikegami, Otoku (Ikegami station on the Tokyu Ikegami line). Phone 3313-6241. 3 November: Culture Day. Public holiday. Mid- November: Shichi-go-san. During the Children’s Festival, children ages 3, 5 and 7 are dressed in traditional kimonos and taken to shrines by their parents so that prayers may be said for good health and future blessings. 23 November: Labor Appreciation Day. Public holiday. Mid November: Tokyo International Women’s Marathon. Course begins and ends at the National Stadium, 10 Kasumigaoka-machi, Shinjuku-ku (JR Sendagaya Station). For information, call 5411-7050 or 3542-2682. Mid November: City Marathon. In conjunction with the Tokyo International Women’s Marathon, the city hosts a marathon open to the public, both men and women. Participants begin at Jingu-Gaien circle and join the Women’s Marathon course on Gaien-Higashi Road. For information, call 5411-7050 or 3542-2682. 23 December: Emperor’s Birthday. Public holiday. One of only two days in the year when the Imperial Palace is open to the public. 1 Chiyoda, Chiyoda-ku. 25 December: Christmas. Though not a public or official religious holiday, it is widely observed in Japan. 14 December: Gishi-sai. To commemorate a famous 1702 samurai vendetta, businessmen costumed as warriors proceed along Sotobori Street to Sengakuji Temple, where the samurai are buried. A memorial service also takes place at Honjo Matsuzaka-cho Park, which was owned by the avenged samurai master. Sengakuji Temple, 2-11-1 Takanawa, Minato-ku (Sengakuji Station on the Tozi Asakusa line). Honjo Matsuzaka-cho Park, 3-13-9 Ryogoku, Sumida-ku (Ryogoku station on the JR Sobu Line). For information, call Sengakuji Temple at 3441-5560 or Honjo Matsuzaka-cho Park at 5608-1111. Mid- December: Hagoita-ichi at Asakusa Kannon Temple. This “ornamental battledore fair” takes place in the compound of the temple. In the evening, look for the brightly colored paddles used in the ancient shuttlecock game of hanetsuki; they’re especially beautiful when lanterns illuminate them. 2-31-8 Asakusa, Taito-ku (Asakusa station). Phone 3842-0181. Late December: Tokyo Millenario. This New Year’s festival centers around a dazzling light sculpture and gallery. Tokyo International Forum, near Tokyo Station. For information, call 5447-0954. Continues through early January. Late December: New Year Holiday Season. Government offices and some businesses close during this time. Some companies close as early as 23 December and do not reopen until the second week of January.